Dentists have to help clients with a chipped tooth on a regular basis. But is a chipped tooth really a big problem? While most people think that it all depends on the severity of the chip, the answer actually lies with the true condition of you tooth. 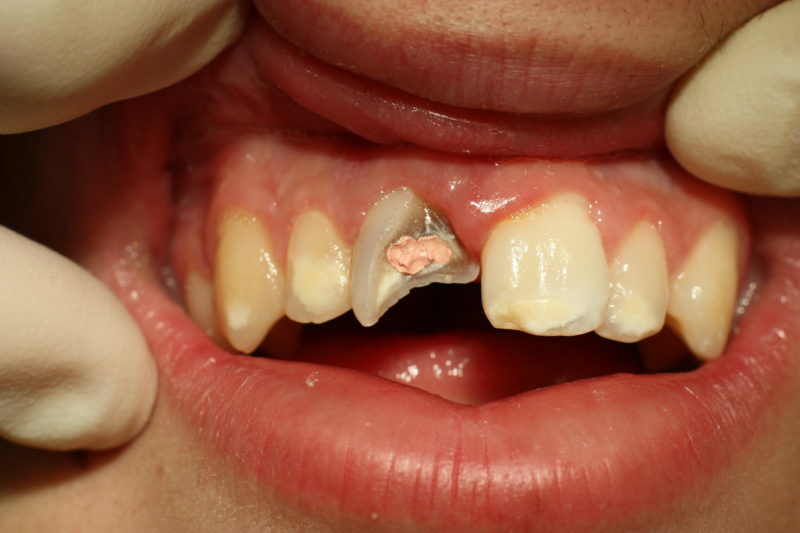 If you have a big chip then it might mean that you lost a lot of tooth structure, but then again, a small chip might actually have laid the foundation for more cracks or chips to develop. So it all therefore depends on the actual damage. There are instances when patients will have to get a root canal especially when the chip is close to the pulp or when the tooth is not able to heal properly after the damage. When it comes to fixing a chipped tooth, the dentist can use modern bonding techniques for minor chips. For larger chips on the other hand, the dentist will have to give the patient a crown or a veneer. What is important is that you see a dentist whenever you get a chipped tooth so you can have the proper assessment and treatment.